Support Our Arctic Expedition CrowdFunding Campaign! DEVASTATING NEWS. SEISMIC CANNON BLASTING FOR OIL LINKED TO ZOOPLANKTON DIE-OFFS, THE BASIS OF THE OCEANIC FOOD CHAIN. Figure 1 | Potential undiscovered oil deposits worldwide and seismic survey scales. a, Estimated undiscovered marine oil deposits shown by geological province using a logarithmic colour scale in millions of barrels of oil equivalent (MMBOE; source: USGS data6 for 2012), location of experiment shown by a star symbol. b, A typical 3D seismic survey area, located by the black circle in a. c, Close-up of seismic lines with individual air gun firing locations, from the area indicated by the white rectangle in b. According to a recently published, peer reviewed, study titled “Widely used marine seismic survey air gun operations negatively impact zooplankton,” in the journal Nature seismic surveys are actually killing off zooplankton, the basis of the entire oceanic food chain. These study results have far-reaching implications and should not be dismissed (as the seismic industry is doing). Zooplankton form the base of the food chain for almost all marine mammals. Seismic surveys are being down all over the world right now, exploding the loudest man-made noise in the world (only below the detonation of an atomic bomb at 260 decibels) every ten seconds, 24 hours a day, for decades to come. These sounds travel throughout the ocean, reverberating along seafloor mountains and drowning out marine mammals vocals that they rely upon for navigation, feeding, and nurturing of their offspring. Take action as this may be the death knell to the ocean as humans search for more and more remote undersea oil throughout the world and including the delicate Arctic region. Plankton also supply half of the oxygen we breathe and are the base of the ocean food web – with less plankton there is less for fish to eat at a time when the world is increasingly looking to the ocean to provide food. The search for oil and gas deposits beneath the sea uses acoustic imaging techniques that are deadly to vital marine organisms, according to new research. LINK TO THE PDF VERSION OF THE NATURE STUDY. The Trump Administration is pushing for seismic surveys, banned by Obama, to be re-opened along the Atlantic Coast of the US. You have fifteen days to comment on the permitting process – see link below. Submit a Formal Comment to NOAA regarding re-opening seismic cannon survey permits on the Atlantic Seaboard of the United States here. YOU ONLY HAVE TEN DAYS LEFT TO COMMENT! (update: Comment Period Extended another 15 days. Here. Researchers have long known that air gun blasts can disrupt hearing in whales and dolphins, which rely on acoustic signals for everything from hunting to mating. But until now, no one had looked into what effect seismic surveys were having on plankton, despite the outsized role these tiny drifters have in marine ecosystems. “Plankton is the base of the food chain,” says Jayson Semmens, an associate professor at the University of Tasmania and lead author on the new study. “It all starts with them, so if they’re affected, that affects everything—including whales.” Semmens and his colleagues realized it was impossible to determine the full effect of seismic testing on megafauna like whales without understanding how it influenced the abundance and behavior of the organisms that make up the base of marine food chains. Inuit have long attested that narwhal also use their tusk to tap and stun fish before eating them and recent video footage has verified that knowledge in a first for western science. A NARWHAL ABOUT TO STUN A FISH WITH ITS TUSK. Arctic expedition videographer Adam Ravetch captured the footage of narwhal stunning and feeding on Arctic Char with the help of an aerial drone camera on behalf of the World Wildlife Fund Canada expedition. “As soon as they saw the playback on the small screen, they knew something interesting was happening and definitely needed to be checked out further,” said Brandon Laforest, a senior specialist in Arctic species and ecosystems for WWF-Canada. 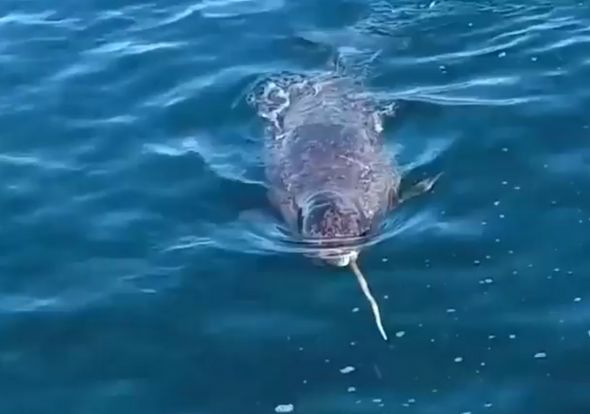 Upon further reviewing the footage below, scientists were able to verifiably confirm that narwhals do indeed also use their tusks as a fish stunner, oftentimes idly swimming through a school of char and lightly bopping the fish with their 3 meter long tooth before swimming up to and eating the fish. Narwhal primarily live in Baffin Bay – a large body of water between Greenland and northern Canada in the Arctic – where they seasonally migrate from the south in the winter to the northern reaches of the Arctic in the summer. The elusive and rare whales are often difficult to study given the remote region that they live in. But a number of studies have been mounted over the past couple of decades to decode the mysteries of this anomalous species. Dr. Martin Nweeia, Harvard Professor of Dentistry and fellow of The Explorer’s Club and The Smithsonian Institute, has been studying the fascinating tooth for almost two decades during numerous Arctic Expeditions involving live capture of narwhals. His theory, and experiments attest, is that the tooth is also a sensory organ as it has millions of tiny holes that allow the animal to ‘see’ the chemical components of the water, as well as the temperature, allowing them to navigate in the cold, dark waters of the Arctic. The tooth has hundreds of thousands of receptors that lead to the center of the tooth and nerve fibers that feed directly into their brain just above their auditory cortex. The theory is that they can ‘sense’ the salinity and temperature of the water allowing them to navigate from the sea floor, narwhals are the second deepest diving whales, back up to holes in the ice, called polynyas, allowing them to breath. 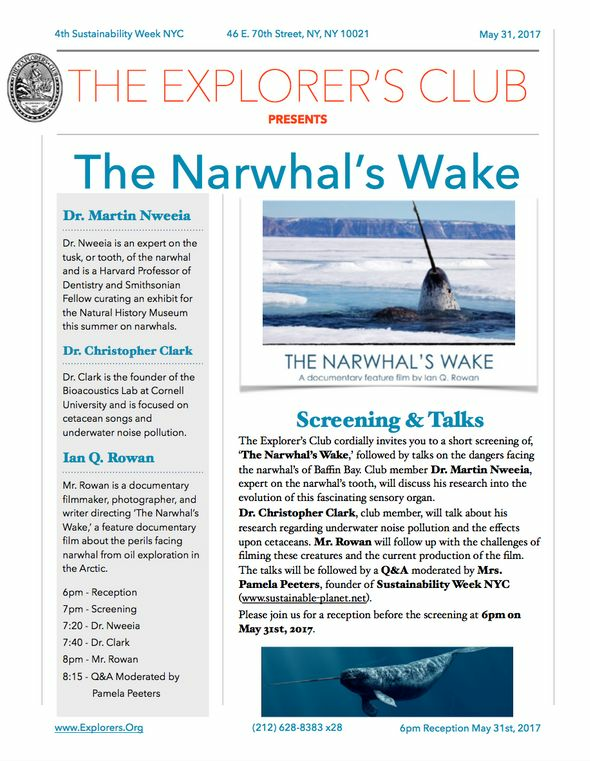 Dr. Nweeia is giving a talk on the characteristics of the narwhal’s tooth on May 31st at 6pm at The Explorer’s Club in Manhattan along with Dr. Christopher Clark, marine bioacoustics expert and star of the National Resource Defense Council’s Sonic Sea, after a screening of The Narwhal’s Wake, a feature documentary film currently in production. 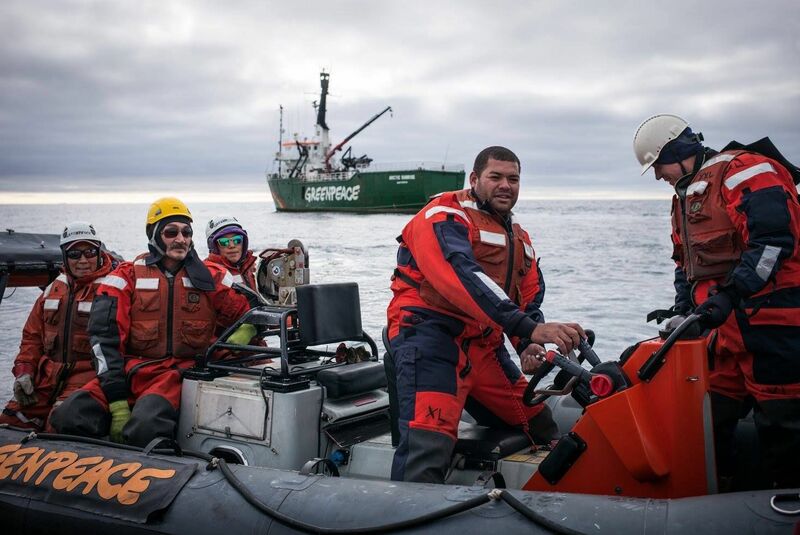 The film focuses on narwhals and the dangers they are facing from Arctic oil exploration that uses seismic cannons to map the subseafloor for hydrocarbons. These cannons emit the second loudest man-made noise, only after the detonation of an atomic bomb, at 160 decibels every ten seconds, 24 hours a day, for the next five years as Baffin Bay is fully mapped. For more information, and to attend the screening and talks, go to The Explorer’s Club listing of the event. If you’re in New York City this week don’t miss this chance to have more mysteries of the narwhal revealed. Check out the story of how Keep Narwhals Real! got started, what the situation is right now regarding seismic cannon mapping in Baffin Bay, and how the film, ‘The Narwhal’s Wake,’ is progressing. Thanks to The Studios of Key West for inviting me to speak at Mark Hedden and Marky Pierson’s Slideshow series. Clyde River, Nunavut. This small hamlet, population 1,100, is at the epicenter of an international effort to stop a dangerous type of oil exploration in the Arctic called Seismic Cannon Mapping. Their primary concern is the well-being of the narwhal, a rare and threatened whale that primarily resides in Baffin Bay and is the origin of the myth of the unicorn. A planned oil exploration survey of the entirety of Baffin Bay has been opposed by Inuit of Clyde River. Led by former Mayor Jerry Natanine, the Clyde River Solidarity Network (Greenpeace Canada, Amnesty International, Idle No More, Council of Canadians,Mining Injustice Social Network, and author and activist Naomi Klein and Actresses Emma Thompson and Lucy Lawless have signed a statement of support) asserts that the seismic cannon mapping proposed by a Norwegian consortium of companies Multi Klient Invest/TGS/PGS has been expressly refused consent by Inuit. Furthermore, Clyde River haslegitimate concerns that seismic cannons threaten the marine wildlife and the fragile ecosystem that 80-90% of narwhals inhabit. 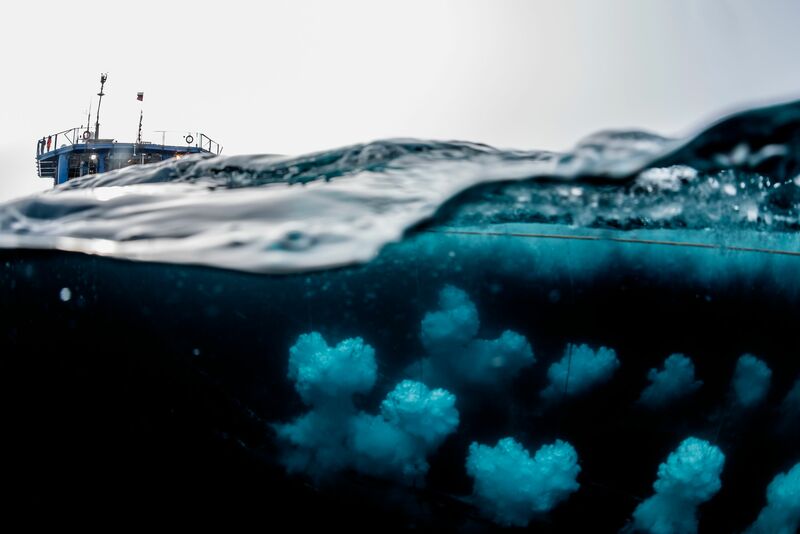 A Seismic Survey Vessels detonates its cannons underwater. The blasts are 240 decibels and are the second loudest man-made noise only after the detonation of an atomic bomb. The blasts go off every 10 seconds, 24 hours a day, for the next 5 years. Led by Jerry Natanine, Clyde River challenged the Canadian National Energy Board’s approval of the survey in July of 2015 – the board ruled unanimously in favor of the survey amidstwidespread opposition. This year, in a rare move, the Supreme Court of Canada has agreed to hear the case for protecting Baffin Bay from sonic blasts on November 30th. 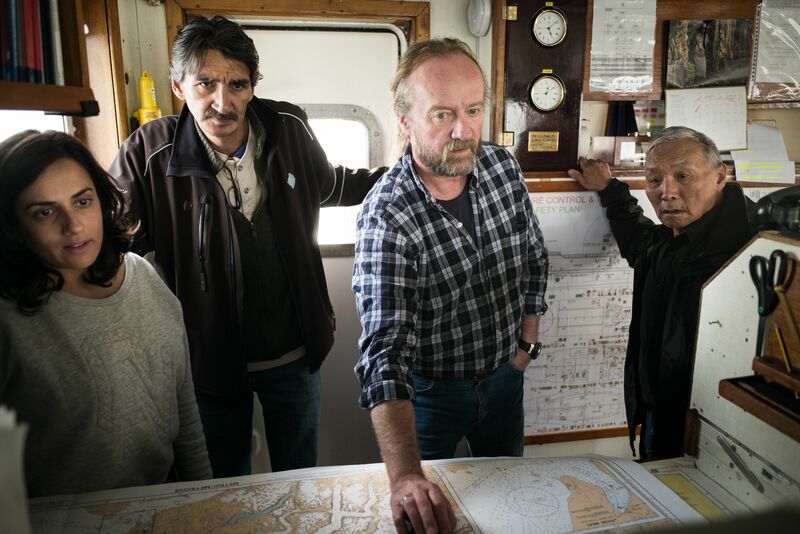 Arctic Campaign Lead Farrah Khan and former mayor of Clyde River Jerry Natanine look on as the Captain of the Greenpeace Icebreaker ‘Arctic Sunrise’ plots a course for Clyde River. In the meantime Greenpeace Canada is mobilizing their icebreaking ship, The Arctic Sunrise, on a peaceful protest training mission to Clyde River with Actress Emma Thompson accompanying former mayor Jerry Natanine. 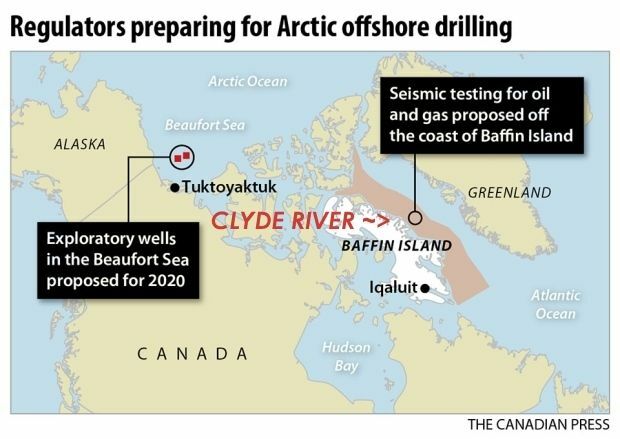 The mission is to raise awareness around the planned seismic mapping of Baffin Bay, install solar panels on the roof of the community center, and to host a training session with the residents of Clyde River demonstrating peaceful protest methods and flotilla organizing in case the cannons start shooting the Arctic waters. Arctic Sunrise crew and guests travel through Baffin Bay, on August 14th, 2016. The ship is bound Clyde River, Nunavut, where she will deliver solar panels for the community. Mayor of Clyde River, James Qillaq (L), former mayor of Clyde River, Jerry Natanine, JerryÕs daughter, Clara Natanine, Deckhand of the Arctic Sunrise, Victor Pickering and Medic of the Arctic Sunrise, Valeriy Kharchenko during a RHIB training exercise in Baffin Bay. 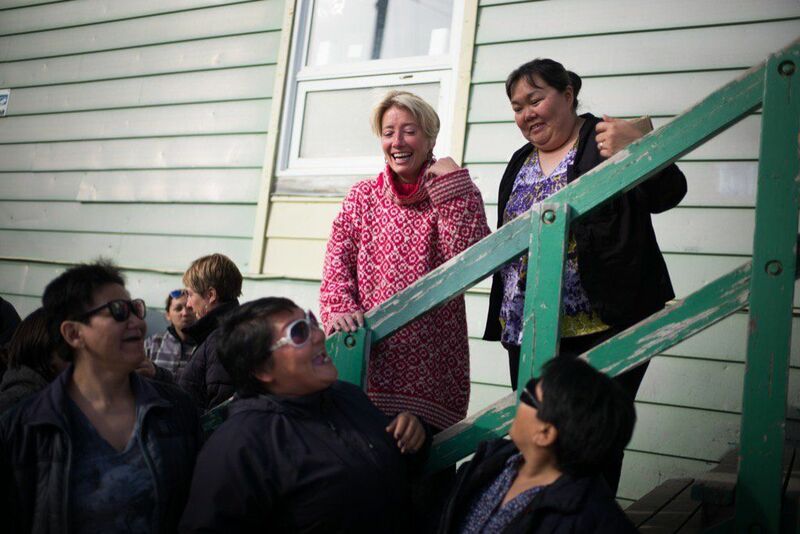 Actress Emma Thompson meets with residents of Clyde River, Nunavut. The expedition will begin installation of solar panels on the community center, peaceful protest training sessions, and flotilla safety protocols this week. Emma Thompson and her daughter have arrived and met with residents and are sitting in on the training sessions. The goal of the expedition is to primarily train residents of Clyde River to have effective tools of protest in order to be heard by the Canadian government and international media while also bolstering their self-sufficiency and sustainability through solar generated power. Clyde River is located on Baffin Island in the Arctic Circle and is separated from Greenland by Baffin Bay, home to 80-90% of Earth’s narwhals. Located at the 70th parallel longitude within the Arctic Circle, Clyde River is at the northwestern part of Baffin Island on the eastern coast of Canada and separated by Baffin Bay from Greenland. It’s a remote and frigid area of the world that not that many people visit. But there’s a robust wilderness that supports an amazing biodiversity that Inuit depend upon for their survival. 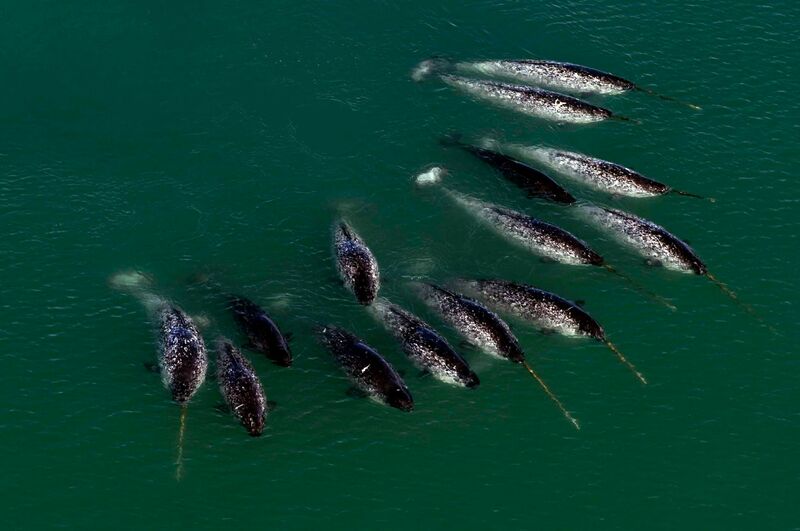 A pod of narwhal, monodon monoceros, swim in the Arctic. 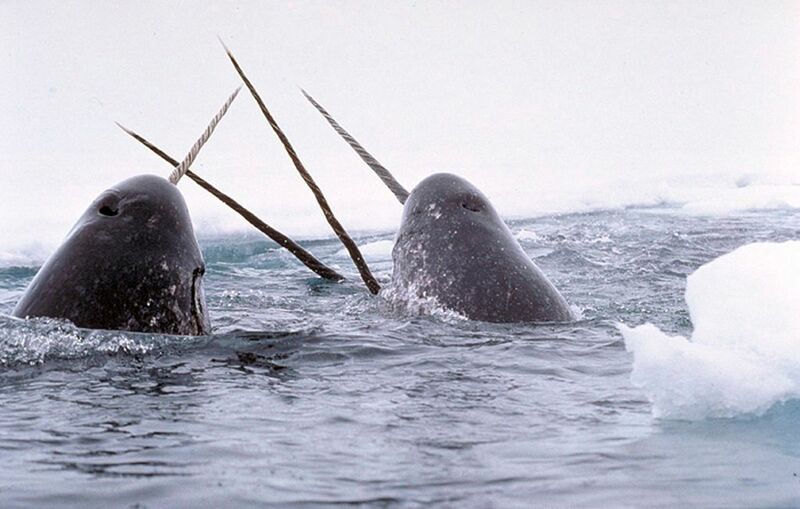 Baffin Bay is home to ninety percent of monodon monoceros, ‘the unicorn of the sea,’ or narwhal. These rare whales migrate up and down the shores of Baffin Bay, feeding on Arctic Char near the North Pole in the winter and squid and shrimp when they summer in more southern waters. They are the second deepest diving whale, up to a mile and a half, and swim upside down while feeding. 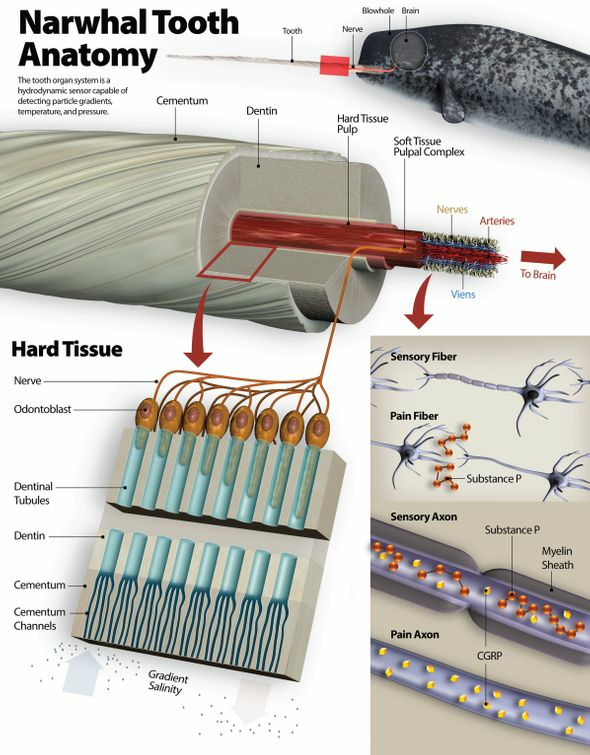 But the most fascinating aspect of the narwhal is their tusk: a ten foot long tooth that protrudes from their upper lip and guides their underwater foraging. This is the tooth of legend. Literally. The myth of the origin of the unicorn has been traced back to Vikings that hunted narwhals in the Arctic Circle. They brought back the horns and sold them to southern Europeans who wouldn’t reveal what animal they were from nor where they caught them in order to preserve the secrecy of the Viking fishing grounds. Lore soon built up around these horns, even the Queen of England paid the equivalent of a castle to purchase one, and the legend of the horse with a horn was born. Crushed up narwhal, or ‘unicorn’ horn, was said to protect those that ingested it from being poisoned by anything. 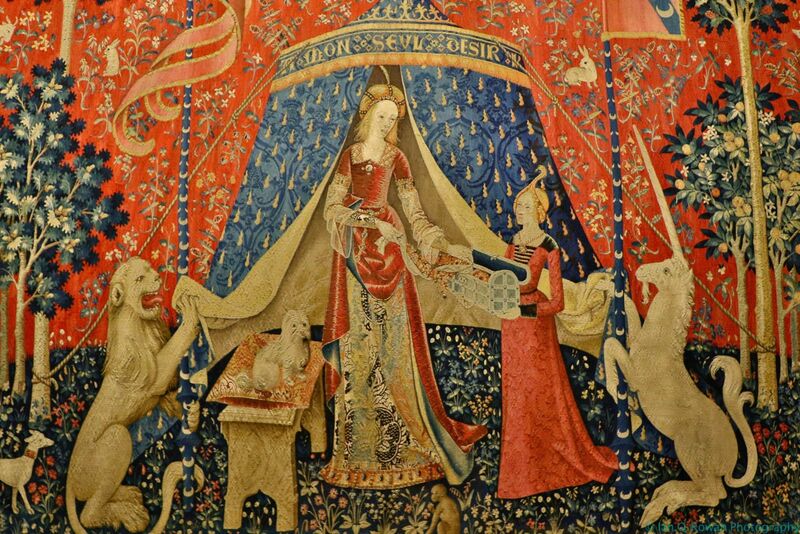 That only a virgin maiden alone in the forest could attract a unicorn before hunters could capture it – indeed, the famousThe Lady and the Unicorn tapestries are based on the legends built around the very real, though unknown at that time, narwhal of the Arctic. The narwhal’s habitat is almost solely Baffin Bay – the other 10% of narwhal are on the eastern coast of Greenland and Svalbard – so they are intricately linked to the underwater ecosystem. There is much evidence to show that seismic surveys are linked to deafness, stranding, beachings, and the deaths of narwhals and other whales. In an open letter to President Obama over fifty marine biologists and scientists have urged him to ban seismic surveys off of the coasts of the U.S. The dangers are real and the future of the species that spawned the legend of the unicorn is at risk of becoming a legend itself. View of a Pod of Narwhal Entrapped in Ice. And if you’d like more people to learn about narwhals and the dangers that they are facing support The Narwhal’s Wake Arctic Expedition Kickstarter Campaign. 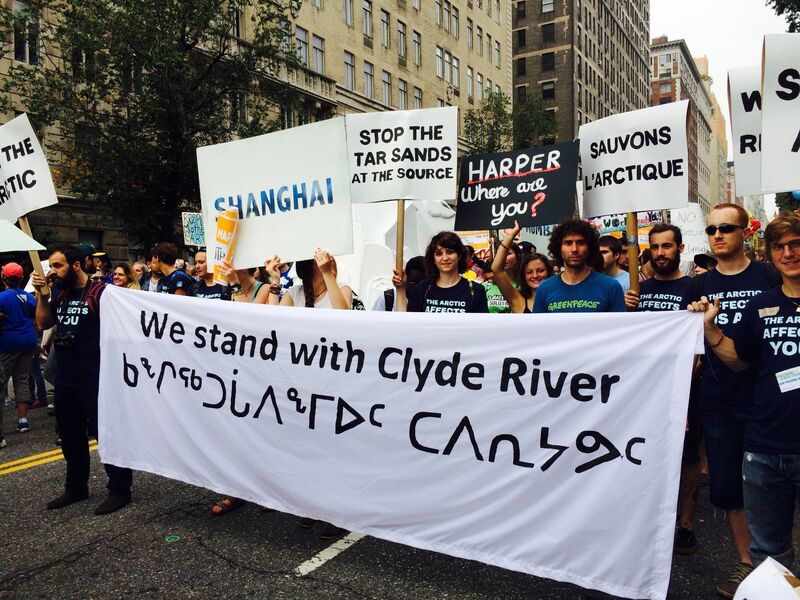 Learn about Greenpeace’s efforts to help the residents of Clyde River, save the narwhals, and protect the Arctic sign the petition at Arctic Home. This post is hosted on the Huffington Post’s Contributor platform. Contributors control their own work and post freely to our site. If you need to flag this entry as abusive, send us an email.